I’m incredibly excited to announce the launch of my collaboration with Elizabeth Arden today; the gorgeous ArdenXAMR beauty gift-with-purchase is now available at Boots and Boots.com! 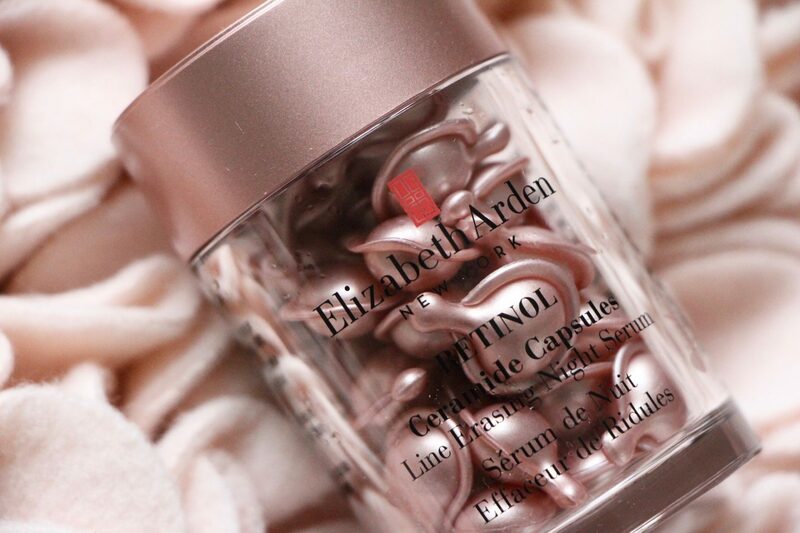 A soft quilted bag in the prettiest of pinks, filled with excellent skincare products and a little makeup treat, it’s free when you spend £70 or more on Elizabeth Arden products at Boots. 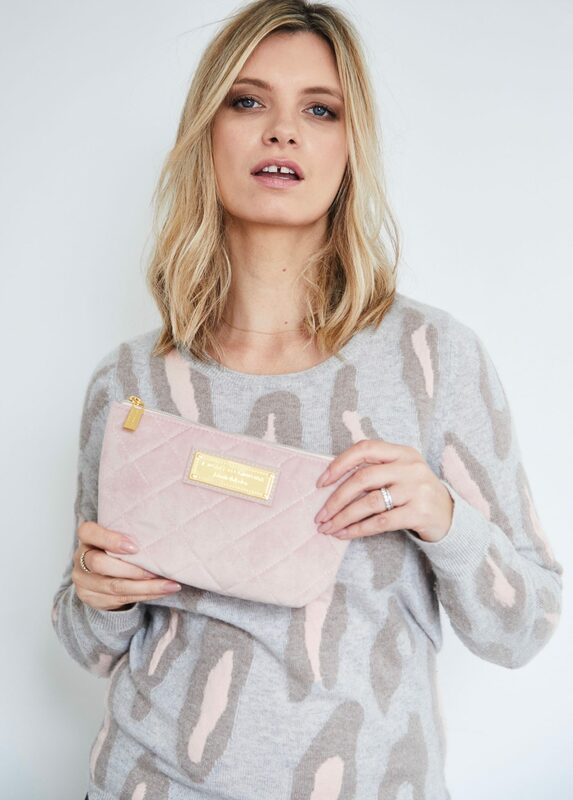 Now can we please take a closer look at this excellent cosmetics/weekend toiletries bag? I’m really very proud of it. Long-time followers may think that it looks a little familiar – a bit like a certain handbag I bought in France a few years ago and then barely used because I was so worried about getting it dirty – well, dear readers, not only is my Elizabeth Arden gift directly inspired by said handbag (the handbag that shall never be named, what a ridiculous purchase! ), I’ve actually used the cosmetics pouch around twenty times more than the handbag. And what’s inside the ArdenXAMR beauty gift, I hear you ask? Well, depending on whether you shop online or go into a Boots store, you have options. 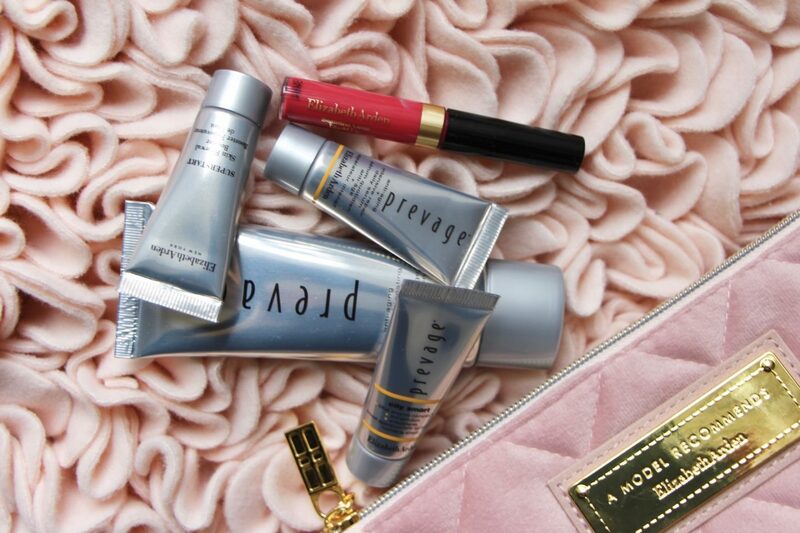 The first is what I like to call the “Prevage Package” because it includes the Prevage Super Start Skin Booster and Prevage City Smart SPF50 as well as the Treatment Cleanser and the amazing Anti-Age + Intensive Repair Daily Serum. Those minis, as well as a beautiful liquid lipstick in Pretty Obsessed, are available online or instore and have a value, with the bag, of around £79. The second option is in-store at Boots only and I’ve nicknamed it the “Capsule Wardrobe”. 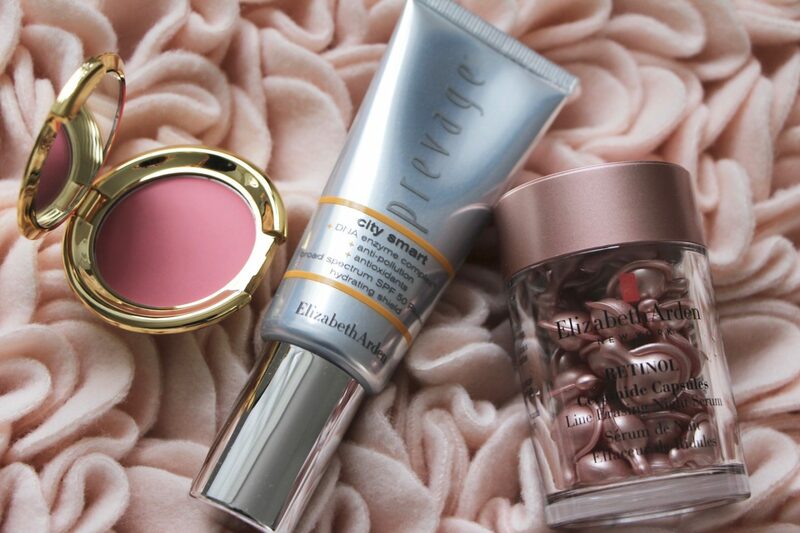 In this gift version you get the wonderful Prevage cleanser and serum and the immensely flattering, suit-all liquid lipstick, but then you get two little tubes filled with Elizabeth Arden’s famous skincare capsules; Advanced Ceramide Capsules for day and the excellent (much-loved by me!) Retinol Ceramide Capsules for night. Barrier strengthening, skin-firming, line-reducing serums that are all the more brilliant for their individual dose capsules. I love to travel with these as they take up barely any space in my bag, but the capsules also keep ingredients potent and take away the guessing game when it comes to working out how much product to apply. So a difficult choice, actually, because both of the skincare options are so lovely. I have to say, though, that I am very impressed with the Daily Serum – packed full of antioxidants, it’s a great “underwear layer” to make sure that your skin is protected from the environment. So nice that this one is a staple inclusion in the gift – and if you opt for the Prevage Package (online here) you can test out an entire morning Prevage routine, including the cleanser, the Super Start Skin Booster – a poky little pre-serum – the daily serum and then the SPF50. 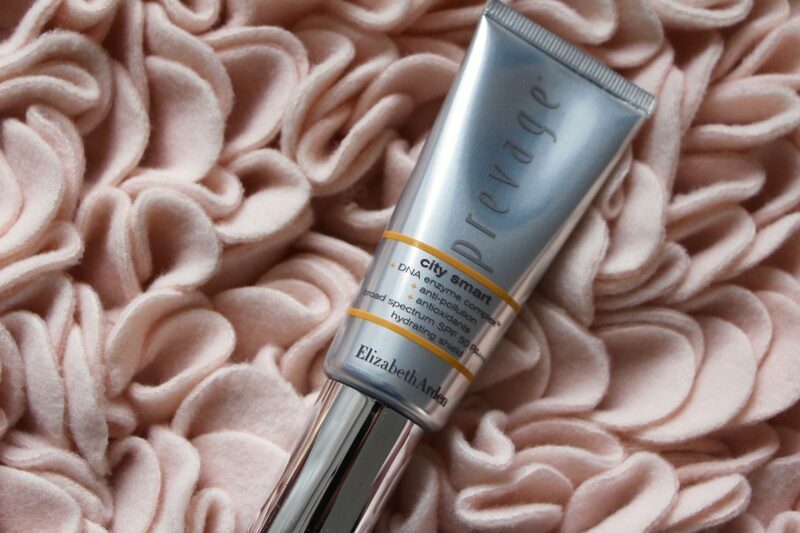 If you really wanted to go large then you could look to one of Elizabeth Arden’s newest launches making waves in the beauty world; the Prevage Progressive Renewal Treatment, a four-week at-home treatment that resurfaces the skin and increases in strength as the programme progresses. I’m currently testing it and really impressed – powerful but in a controlled way, so there are no nasty surprises, just fresh-looking, brightened skin. You can find more information on the Renewal Treatment here – it’s something of an investment but will appeal to those who are working up to a big event or feel they need a total skin overhaul. And you can’t go wrong with the broad spectrum SPF; it’s so lightweight in texture but really hydrating and helps to shield against pollution as well as harmful rays. 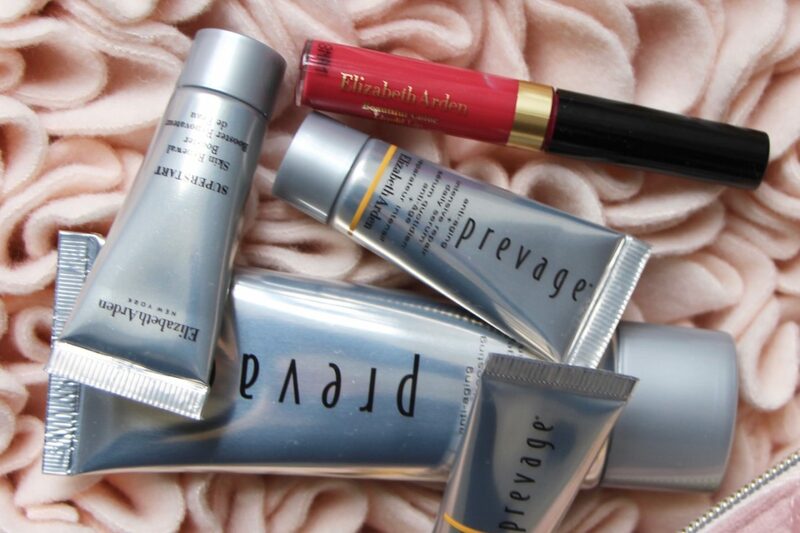 That with the Prevage serum beneath is a proper dream team. So: there’s my Elizabeth Arden beauty gift-with-purchase! I’m so pleased with it and hope that you love it too. Gifts are limited in number, but hopefully available for a whole month from now – until the 28th April. And if you’re stuck for a last minute Mother’s Day idea then this could save your sausages (is that a term? ): buy some full-size beauty for your Mum (White Tea fragrance perhaps? 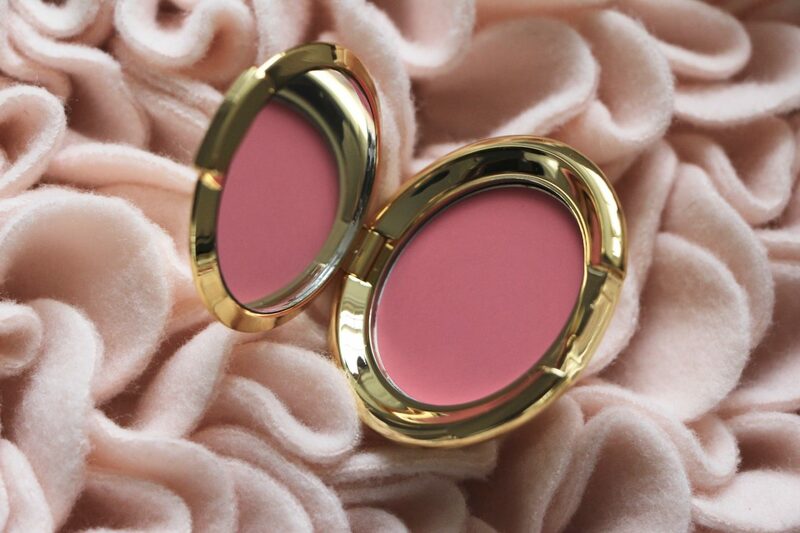 A fragrance and a lipstick?) and then keep the gift for yourself! Bonus. Or just keep it all for yourself – there’s no shame in that. Is there? Yay! A smile and a big one, too! Love the bag….will have to see if that is available at Estee Lauder here in the USA. Loving the sweater. too,. I nearly peed myself re: the previous post where the tree won, but didn’t post that at the time. You’ve recovered by now I hope. well that is lovely Ruth, I’m in Canada so can’t get it but I would! The bag looks gorgeous, make a nice present for someone special!! Same here, I’m viewing your site in Firefox. Absolutely no shame in keeping it all for yourself. The pouch is beautiful indeed.